For home-style hospitality and affordable comfort just minutes from Hector International Airport stay at the Ramada Fargo. Conveniently situated off Interstate 29 with easy access to downtown Fargo attractions and within five miles of North Dakota State University Moorehead State University and Concordia College this lodging facility is also close to Microsoft Bobcat Company Magnum Logistics Company and Butler Machinery Company. Prairiewood Rose Creek and Edgewood Golf Courses as well as West Acres Mall are also close by. Amenities include complimentary outdoor parking complimentary airport shuttle service a business center and complimentary wireless Internet access. 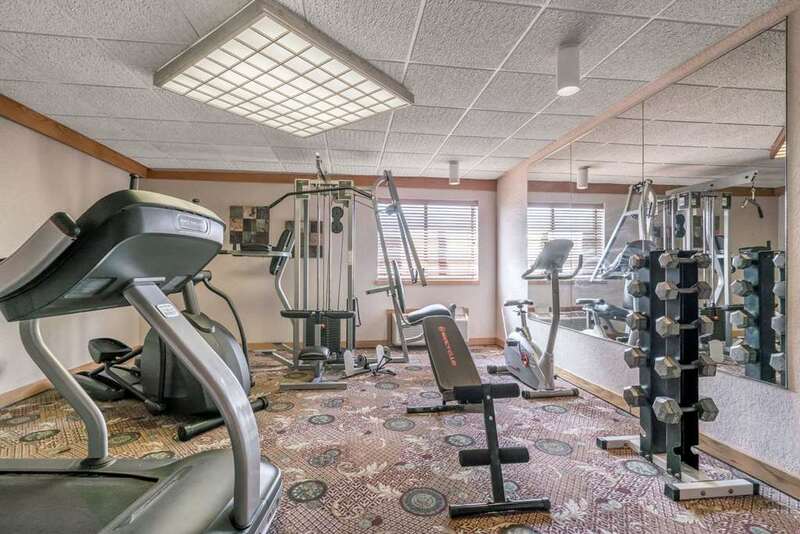 Leisure facilities include a hot tub sauna fitness center and heated indoor pool with a rock-climbing wall and a complimentary continental breakfast is served every morning. Smoke-free guest rooms include a flat-screen HDTV mini-refrigerator and ergonomic work station and suites are outfitted with a jetted hot tub. On-site dining options include a full-service restaurant and lounge with gaming facilities and this lodging facility also features 14 472-square-feet of event space for up to 600 attendees. Pets are welcome for a small fee. Forty feet long, twelve feet tall, and known to the residents of Wahpeton as "The Wahpper." Apparently placed to draw envious stares from Minnesota, which is only a hundred feet away across the river.